A small, family-owned dairy now has big-city connections, thanks to a penchant for delicious, unique cheeses. Elenore?s Farmhouse Cheese, a side venture of the Jason Wiebe dairy west of Durham, began 11 years ago on the family?s kitchen stove. But it has grown into an award-winning business that distributes across the continental United States and can be found in stores in urban areas like Kansas City and Chicago. ?I knew I wanted to do something to get some more money, other than the milk,? Wiebe said. ?So, we thought about different things to do to process the milk, and we decided on cheese.? Wiebe is no stranger to the dairy business. His grandfather established the farm and it has served as a functioning dairy for around a century. Jason took over management of the dairy from his father. ?It?s the only thing I?ve ever done,? he said. ?I enjoy it.? The cheese-making project has roots in the family, too. Wiebe said his wife grew up in?Canada enjoying fresh cheese, and her aunt provided them with their first cheese recipe, hence the name of the product line. But they?ve also had some help along the way. ?My wife talked to a friend who made cheese for a farmer?s market and she told us how she did it in the kitchen,? Wiebe said. ?We got encouraged by her and tried her method, and it seemed to work.? The Wiebes made cheese in their kitchen for a couple years before building a small structure and selling 40-pound blocks locally off their farm. 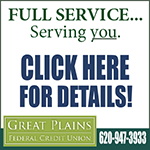 About a year later they expanded to their current facility, which is state approved and inspected by both state and federal food-inspection services. At that point, another key person gave the Wiebes? cheese-making venture a hand up in. 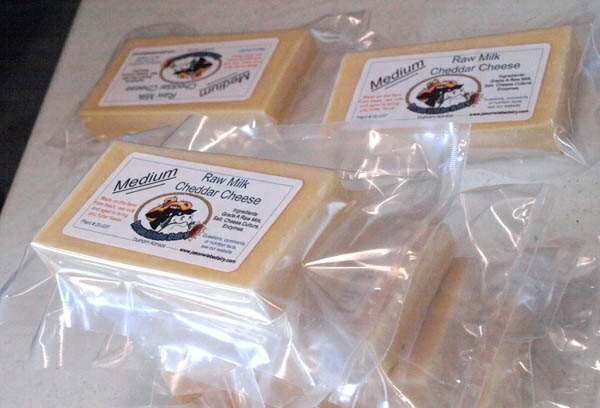 Neville McNaughton, owner of CheezSorce LLC, based in St. Louis, and an international cheese judge and industry expert, showed up at the farm on his motorcycle one day. That began a relationship that resulted in the unique recipe for the Wiebe?s signature cheese, the Cottonwood Cheddar. 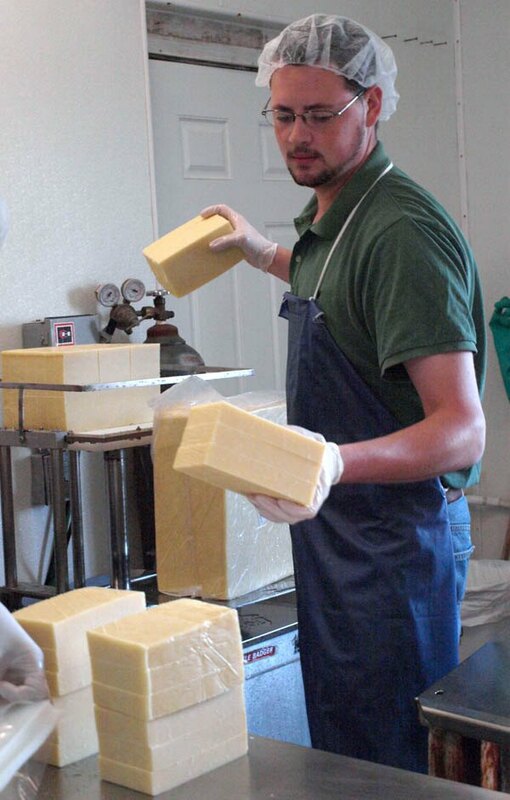 The Jason Wiebe Dairy produces two kinds of cheese, said assistant cheesemaker Aaron Herbel: cheddar and colby. ?Colby cheese is a higher-moisture cheese than cheddar,? he said. ?Cheddar is a semi-hard cheese and has a lower moisture content, which gives it a stiffer texture.? For their pasteurized cheese line, the Wiebes have developed several flavors, including herbs and garden vegetables. They even created a jalapeno variety that took sixth in the U.S. championships. But it?s the raw milk line that really underlies their success. ?In the time I?ve worked here, the raw milk has gone from being kind of a side product to being clearly our best-selling product,? Herbel said. ?What makes the difference is that the product we have is unique. Customers can?t go to the shelf and find it somewhere else.? The raw-milk line capitalizes on growing nationwide demand in recent years for natural, organic and whole foods. ?The other (cheeses) are Wisconsin style, so people have a limit on what they?re willing to pay,? Wiebe said. ? (Cottonwood Cheddar) is something that?s unique. It?s very exciting to find out how much they like that cheese, what it?s worth to them and what lengths they?ll go to get it.? It?s an original blend of cultures, the bacteria used in cheese-making to determine flavor and texture, according to Wiebe. Cottonwood Cheddar also is aged eight months, in contrast to two to three weeks for most other varieties and 60 days for roma cheese. The Wiebes began selling the new cheese in June 2011. ?Anytime you?re introducing a product to the market you have to create a demand for it,? Herbel said. ?In this area, there?s maybe not quite so much demand for it. It?s a bit more of a high-end cheese. ?It?s a unique flavor, and certainly there?s quite a bit of polarity in that. There are some people who really like that cheese?personally it?s one of my favorites?and then there?s others who don?t. ?It certainly is a strong flavor and some people like their cheese very mild.? Jason Wiebe?s delectable cheese begins its journey to the big city as 580 pounds of milk from their 120 cows, about 20 to 30 percent of their total milk production. They use a vat to heat milk to 145 degrees for 30 minutes for pasteurization, or simply warm raw milk to 90 degrees to begin cheese-making. After adding the starter cultures, the milk sits for 35 minutes to ?ripen? before adding an enzyme that helps the milk to coagulate. ?It kind of looks like Jell-O at that point,? said Herbel. ?We cut it into cubes, and then begin the cooking process.? Heating the cubes causes the cheese curds to contract, forcing out the whey, a watery byproduct, and keeping the nutrients intact. For cheddar cheese, they monitor the acidity to the desired flavor, then add salt to ?freeze? the cultures. The curds are pressed into 40-pound blocks overnight and then packed into reusable pine boxes to be stored for the appropriate aging time. When the cheese has been properly aged, it is packaged and shipped to market. Cheese from the Wiebes? dairy is distributed to two primary markets. 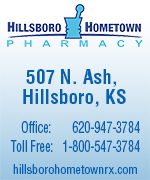 The first is locally, to individuals and stores in a one-hour radius, including Salina, Newton and Wichita. This cheese is already cut into smaller blocks and packaged with the Elenore Farmhouse Cheese label. ?The local market would be 60 percent raw and 40 percent pasteurized, increasingly moving toward the raw milk,? said Herbel about regional preferences. The Wiebes also distribute on a broader scale, working with Good Natured Family Farms to put their cheeses in health and whole-foods stores in the Kansas City area. Around half of their cheese production goes to this market, Herbel said, which has demonstrated a penchant for their pasteurized, flavored line. But perhaps the most exciting market development is the Wiebes? recent partnership with a Chicago-area firm. ?We have started shipping our cheese to a company called European Imports,? Herbel said. ?So that?s been encouraging.? The company provides specialty cheeses to hotels, caterers and white-tablecloth restaurants. They purchase the cheese in 40-pound blocks, then use their facilities to cut, package and distribute the product using the Elenore Farmhouse Cheese label. This allows smaller operations like the Wiebes? to save costs and provide higher-quality products, Herbel said. It?s a relationship they hope to strengthen for the future. Herbel said the dairy hopes to continue to develop the raw milk side of the operation and grow new markets. ?Long term, we?re looking at going more that direction, toward the specialty cheeses,? he said, adding that sales are increasing and May was their highest-grossing month in the five years he?s worked at the dairy. Ultimately, producing quality cheeses that make mouths water in bigger markets is a process that begins at home. ?There?s a lot of challenges, but I like challenges,? Wiebe said about his cheese-making adventure. ?I like seeing everything come full circle, from the land to a consumer product.? And it?s a product that consumers obviously are pleased to welcome into their homes. ?If we didn?t have people liking our cheese, it never would have happened,? Wiebe said.